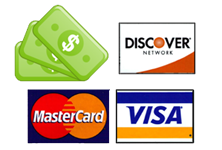 Most Hair Salons take or charge credit cards in advance of services above $100.00 or more, and if you are a NO SHOW charge a certain percentage to your credit card, however here at Boardroom Hairstylists we do not make such requirements so please be courteous. We require all of our clients to have a fun and exciting experience when visiting Boardroom Hairstylists! We pledge to do everything in our power to make this happen. If you have any special requests, just let us know. For your entertainment, just say the word! Inspired conversation, psychotherapy, and comedy is provided with every service. Boardroom Hairstylists stands behind our work 100%. We do not claim to be magicians or mind readers (publicly), so if for any reason you are not completely satisfied with the service you received, we will make it right! Just let us know with in a reasonable amount of time (a week) after your service, and we will promptly get you back on the schedule for any tweaks that need to be performed. We know that we have an incredible team (confident not arrogant), so any fix (beyond giving you magic hair growing pills) is doable. Please don’t hesitate to ask, we really mean it! Notes to our guests: We know that your time is important and our intent is to ensure everyone receives timely services. To aid us in this endeavor, please aim to arrive by your scheduled Appointment time. Keep in mind that a 10-20 minute delay hurts all others. We are a very busy Hair Salon and do our best to accommodated all our clientele in a relaxed manor. Please try and show up show up on time for your appointment,delays hurt other clients. Please try to give us at least an 24 hours cancellation or reschedule notice. NO SHOWS will be charged a $35.00 FEE upon their next visit, all we ask is that you please be courteous. We understand things happen but simply not contacting us in anyway after booking an appointment and not showing up hurts our scheduling and takes away valuable time from both our customers and our staff. You can reach us quickly by calling (770) 937-0090. We accept all credit and debit payments such as Mastercard, Visa, Discover, Voice Pay, Google Pay, Samsung Pay, Paypal or Alipay. The average gratuity of the industry is 15%-20% of the service and, though greatly appreciated, is always a matter of choice. PLEASE PLAN ON PAYING GRATUITY WITH CASH VENMO OR PAYPAL.